Have your say and get involved in Reading Walk-in Centre. Ask at reception or call up for more information. 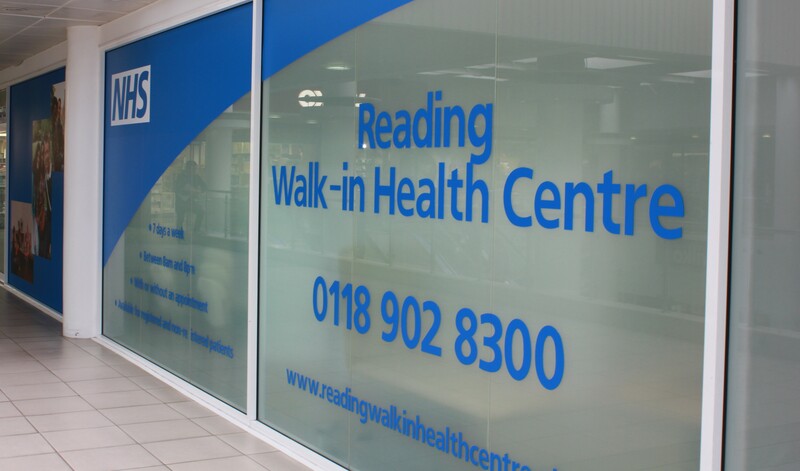 The Reading Walk-In Health Centre is undertaking refurbishment of the Health and Wellbeing Centre. We anticipate completion date 1st April 2019 and are currently waiting for IT issues to be resolved. During this period, the number of GP appointments may be reduced due to the lack of rooms available to our patients. The Clinical Commissioning Group are aware of this and we are doing our very best to accommodate. We would appreciate your cooperation during this period, however, if you have particular difficulties then please contact us so that we can see how we can help. We will also be having the main waiting room painted for 1 week from 8th April 2019 after hours. This means there will be no disruption during opening hours but the waiting room may smell like paint. We are sorry for any inconvenience caused by this and if you are affected by the paint fumes, please inform reception. We are also awaiting a delivery for new chairs for both waiting rooms which will be set up out of hours. As from 01 October 2018, patients will be able to access appointments during evenings and weekends, Mon -Thu 0800-2000, Fri 0800-1830, Sat 0800-1600. To book an appointment contact your Practice. Our centre gives you additional choice and greater access to healthcare in Reading offering a full general practice for registered patients. The general practice offers pre-bookable appointments to its registered patients. We offer online services to registered patients which allows you to request services such as repeat prescriptions or appointments at a time that’s convenient for you. Our walk-in centre offers treatment, information and advice for a range of minor illnesses and injuries. Anyone can use our walk-in service, you do not need to be a GP registered patient. There are no pre-bookable appointments on the walk-in service, simply book in at reception. Please be aware that some patients are called out of turn, depending on clinical need. If you are attending for the administration of injectable medication you will require a letter signed by a clinician giving us the authority to do so. As from the 31st May 2018 medicines which are readily available to buy from local pharmacies, shops or supermarkets for children or adults will NO longer be available on prescription. Please see the Prescriptions page for more information. Our centre is open from 8am to 8pm Monday to Sunday (including bank holidays). Waiting times vary on a day to day basis. The last routine walk-in patient will be booked on at 7:45pm however the list can occasionally close earlier due to high demand / emergencies. Please note we may not be able to facilitate all types of dressing at peak times due to high demand / end of day.